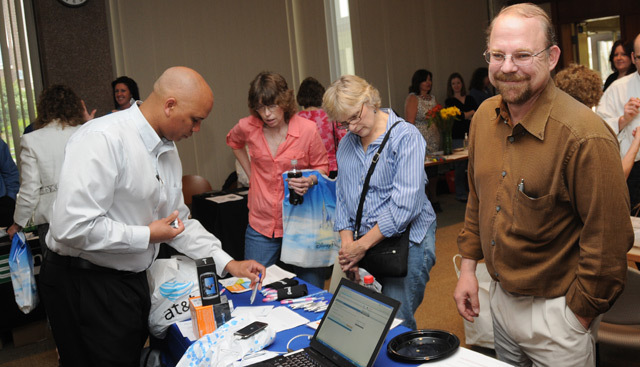 At right, Peter Staye, associate director of utilities management in Physical Plant-Facilities, visits an AT&T representative during the Employee Benefits Discount Day May 13 in Woodhead Lounge. 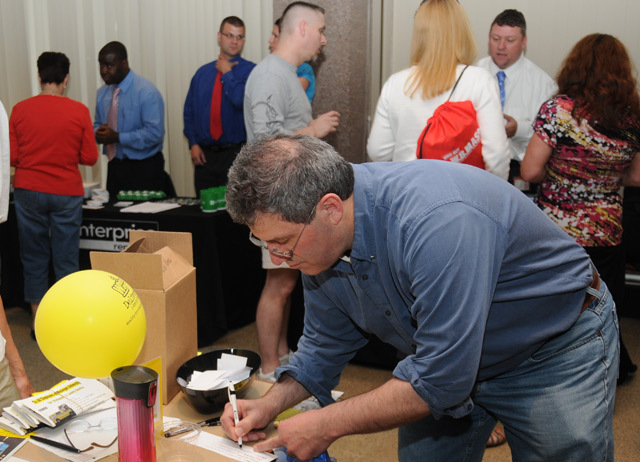 Vendor representatives from AT&T, Sprint, Verizon, WB Mason, White Way Cleaners, Sam’s Club, BJ, Costco, Sanditz Travel and others offered product discounts to Wesleyan employees. 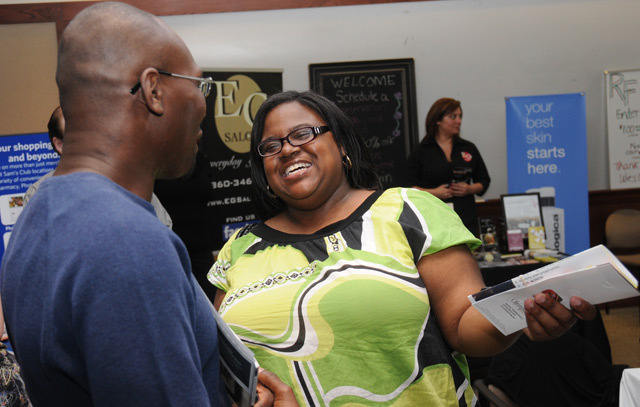 Human Resources and Purchasing sponsored the event. 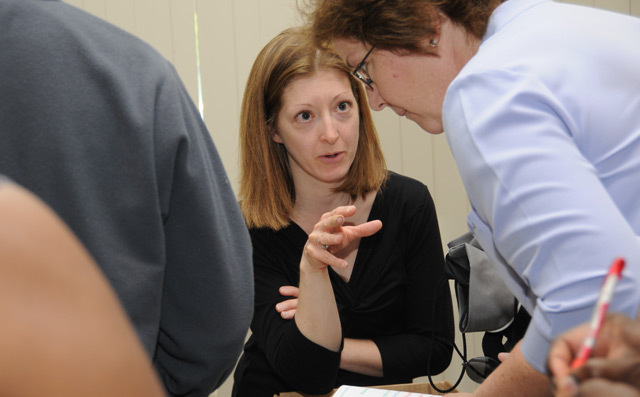 Jennifer Platt, printing/operations specialist for Information Technology Services, learns about the benefits of Sam's Club. 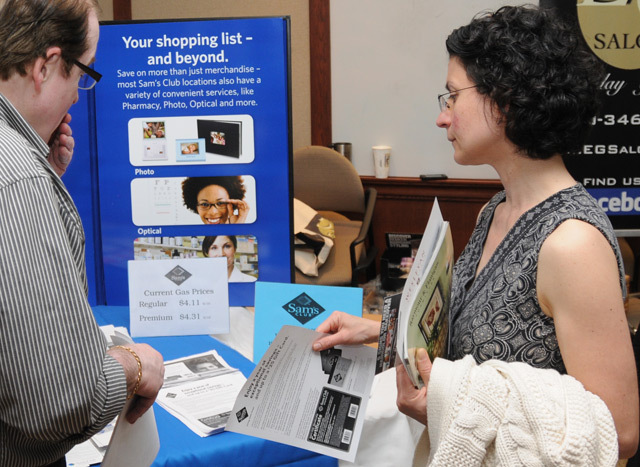 Tina Velasquez Lange, secretary in the Health Services Department, picks up a flyer at the WB Mason table. Paul DiSanto, director of leadership giving in University Relations, fills out a raffle ticket at the White Way Cleaners station. Dawn Brown, area coordinator for Residential Life, mingles with Santos Cayetano, associate director of the McNair Program during Employee Benefits Discount Day. In center, Vanessa Sabin, human resources coordinator, welcomes Kris McQueeney, administrative assistant in the Theater Department, to the event. 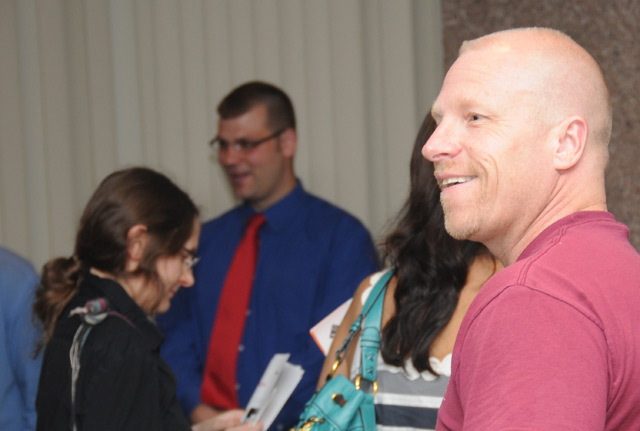 Phil Cotharin, temperature controls mechanic in Physical Plant-Facilities, enjoys the event.